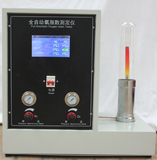 It is suitable for making standard samples of various non-metallic pipes or sheets. The cutting tools are durable. The edges of the samples are smooth, no burrs, no dust and so on. 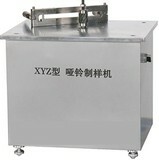 The new prototyping machine adopts the principle of copying machining, and combines with the principle of mechanical transmission to transform the rotational motion of the thread into linear motion; no creeping, uniform force, smooth motion, the relative position of the sample and the cutting tool can be adjusted according to the actual situation. 1. GB/T1040-2006 dumbbell shaped specimen specified in the "test method for plastic tensile properties". 2. Type dumbbell specimens specified in GB/T 8804.1-2003 "Thermoplastic pipes - Determination of tensile properties Part 1: General rules of test methods". 3. GB/T 8804.2-2003 "Thermoplastic pipes - Determination of tensile properties Part 2: Dumbbell-shaped specimens for rigid polyvinyl chloride (PVC-U), chlorinated polyvinyl chloride (PVC-C) and high impact polyvinyl chloride (PVC-H1) pipes". 4. GB/T 8804.3-2003 "Plastic thermoplastic pipes for use--Determination of tensile properties Part 3: Dumbbell-shaped specimens as specified in Polyolefin pipes". 5. Vicat specimens with thickness greater than 6 mm stipulated in GB/T8802-2001 "Determination of Vicat softening temperature of rigid PVC-U pipe and fittings" and GB/T1633-2000 "Test method for Vicat softening point of thermoplastic". 6. 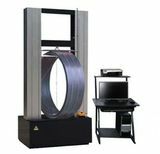 Hot deformation specimens stipulated in GB 1634-2004 "Test Method for Hot Deformation Temperature of Plastic Bending Load". 7, the total length of the specimen is less than 170mm, width 16~30mm, and the length is 3 or less than 25mm. 8. Other shape samples required by users. 9. In addition to making plastic samples, the prototype machine can also make rectangular aluminum, magnesium and its alloy products as stipulated in "GB/T 16865-1997". Its thickness is: 3 < thickness < 10 mm. I A type specimens: the total length is 174 + 2, 28 or more than 21, and conform to the I type specimens in GB/T1040 and GB/T8804.3. Type P1 specimen: P1 type in rectangular specimen in GB/T16865. Thick III type: Vicat sample: total length < 50 +1.0, width 10; strip sample: total length < 170mm, width = required size + more than 2mm processing capacity; hot deformation sample. 3. Dumbbell type I A mold and a set of proximity mold (to meet the requirements of GB/T8804.3 and GB/T1040.I sample preparation), IB mold and a set of proximity mold (to meet the requirements of GB/T8804.2 I sample preparation), dumbbell type II mold and a set of proximity mold (to meet the requirements of GB/T8804.2, GB/T8804.3, GB/T1040 sample preparation), type II I proximity mold A set of long strip samples (VEKA and length less than 146). 5. Dumbbell prototyping machine/dumbbell tensile sample preparation optional configuration: P1, P2 model set; GB / T16865 stipulated in the aluminum, magnesium and its alloy products P1, P2 samples. 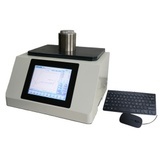 The dumbbell prototyping machine is a simple, convenient, accurate and rapid prototyping machine, which adopts the standard die-by-die method to process standard samples. Matching type I, type II and type cutter.